" The advanced technology of the DMC-GH1 has enabled a level of image expression that never before existed. It brings a gentle, soft focus to both the DSLR's high image quality photos and full-HD movies at 1080/24p*1, and enhances every single shot with the beauty of HD. Its new kit lens*2 also provides Continuous AF/AE for both photos and movies, creating a next-generation interchangeable lens system camera. In addition, all of these advanced functions are incorporated in an incredibly small body. This compact size was achieved by using a mount system that complies with the Micro Four Thirds System standard, together with an innovative mirror-less structure in a digital interchangeable lens camera. The DMC-GH1 realizes creative images that exceed even your loftiest expectations. " Our testing confirms that EditReady successfully converts Panasonic GH1 footage. 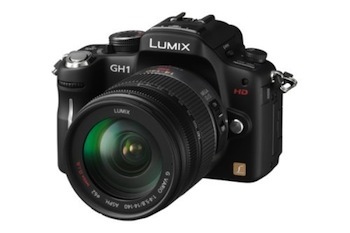 This means that files from the Panasonic GH1 can be converted and transcoded, and played in applications like Quicktime Player, iMovie, Avid, and Final Cut Pro. Our testing confirms that ClipWrap also successfully converts Panasonic GH1 AVCHD (mts) footage. This means that files from the Panasonic GH1 can be converted and transcoded, and played in applications like Quicktime Player, iMovie, Avid, and Final Cut Pro. If you're using a Mac running Mac OS X 10.6 or 10.7, ClipWrap is a great solution for working with these files. If you're on a newer Mac, we recommend using EditReady. EditReady works great with the video files recorded by the Panasonic GH1. You can easily preview the files, edit their metadata, apply LUTs, and transcode them to formats like ProRes, DNxHD or H.264. It's the fastest and easiest way to get from capture to edit.